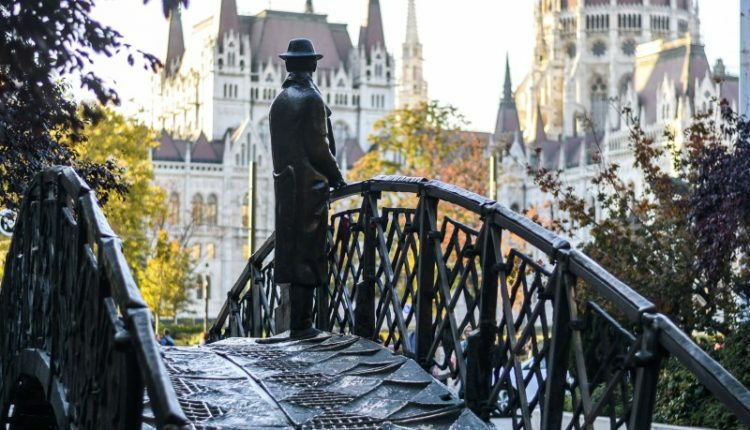 We have compiled a list of statues and monuments commemorating the heroes of the 1956 Hungarian Revolution and freedom fight. On 23rd of October 1956, Hungarian students and young workers staged a peaceful demonstration in Budapest, protesting against the ruthless Communist dictatorship forced onto the country by the Soviet Union since the end of the Second World War. Standing on the ’56 Sqaure next to City Park, the monument is also known as the Monument to the Uprising or by Budapest Citizens as the Vaskefe (iron brush). 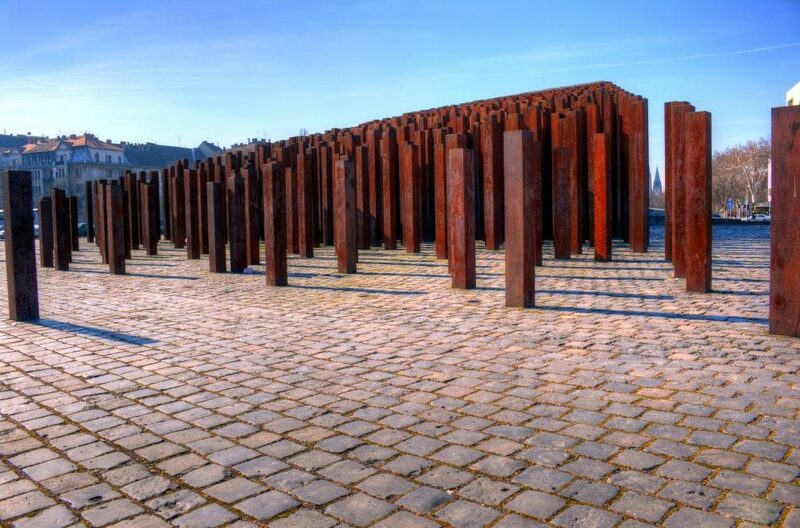 The massive monument is shaped in the form of a wedge with a 56 degree angle, made out of rusty irons, which gradually increase in height. It symbolises the joined forces of Hungarians coming together as they carve through communist rule. The monument was unveiled in 2006, on the fifty year anniversary of the revolution. 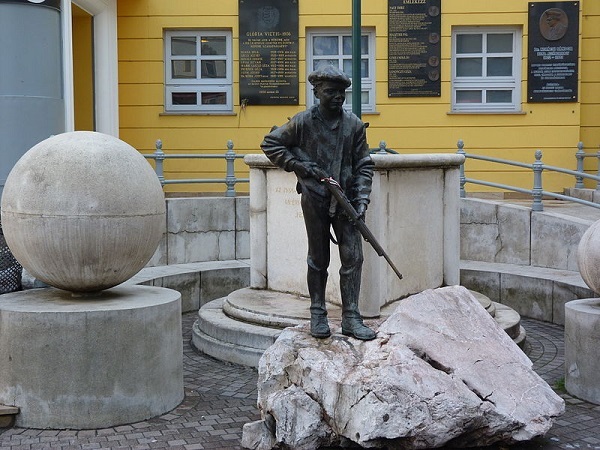 The so-called “Lads of Pest” (pesti srácok) – youngsters mostly in their teens or early twenties who took up arms to fight against Soviet occupation – are a familiar symbol of the 1956 Hungarian Revolution and freedom fight. As many of them served as commanders of armed insurgency units, many of them were either killed in combat or executed during subsequent reprisals. A statue, commemorating these teenagers has been erected in Corvin köz, five larger groups were formed, and Corvin köz, a secluded side-street just off Üllői út. Here, the young Hungarian freedom fighters defeated the 33rd mechanised Soviet Guard division and destroyed 17 Soviet tanks in a single day. 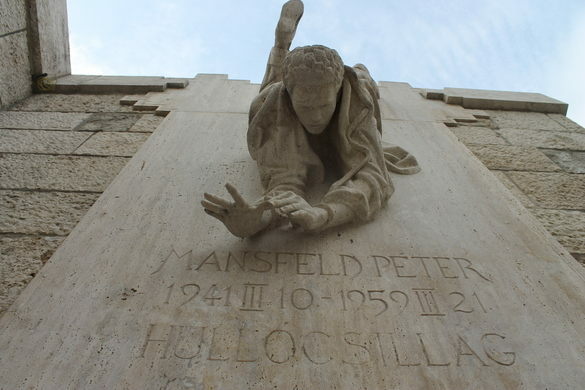 The statue, depicting a falling man, commemorates a teenage martyr of the Hungarian Revolution, Péter Mansfeld. 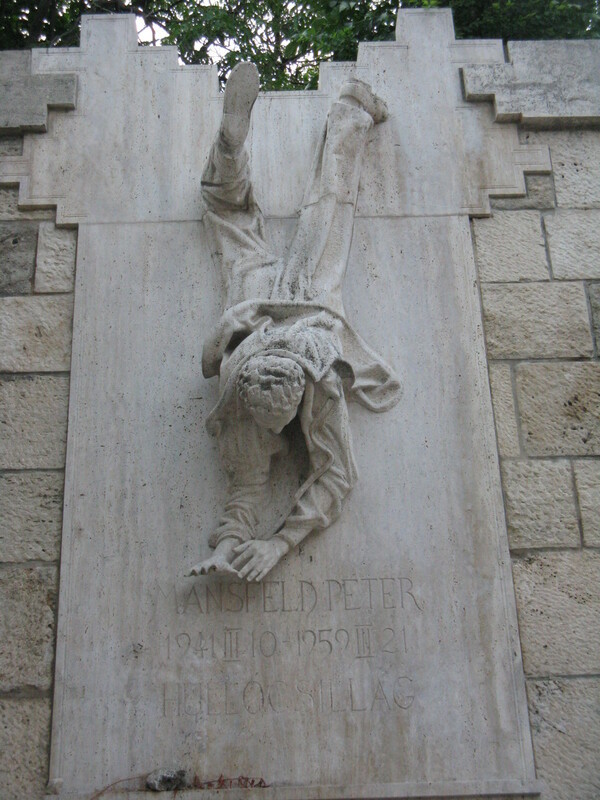 At the time of the revolution, among others, Mansfeld was only a teenager, then just 16 years old. 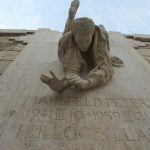 He was executed for taking part in the fights in 1959, as soon as he passed his 18th birthday. He became an icon of the revolution, especially the thousands of teenaged martyrs who died for Hungarian independence. On the second day of the revolution, 24th of October 1956, Imre Nagy became Prime Minister. On the 28th, he disbanded the ÁVH (secret police force) and abolished the one-party system. Politically, Hungary was announced as a free and sovereign country until the bloody retaliation by the Soviet troops. On 22 November, Nagy was arrested by the Soviet forces. He was secretly tried, found guilty, sentenced to death and executed by hanging in June 1958. He was reburied in 1989, front of some 200 thousand people on heroes Square. 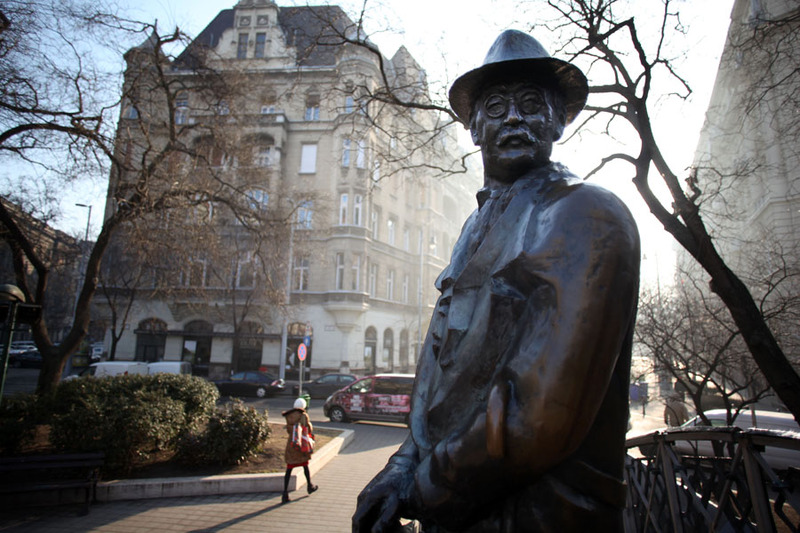 His statue stands on Kossuth square, facing the Parliament. 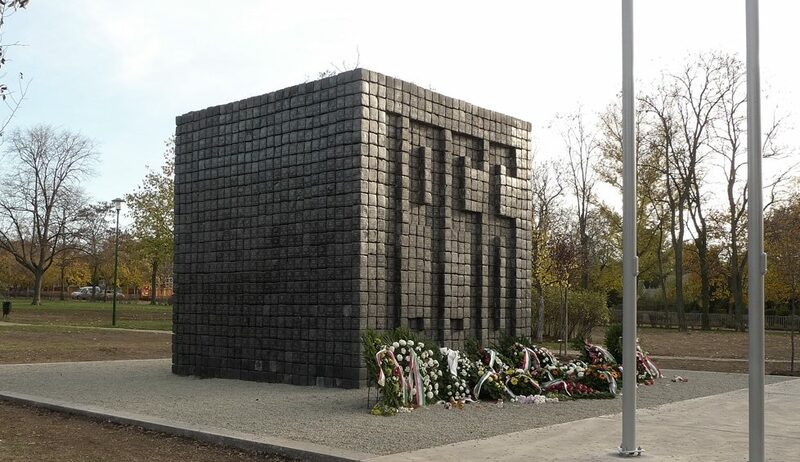 The memorial, titled ‘1956’ is located on Hargita square in the XVIII. district. 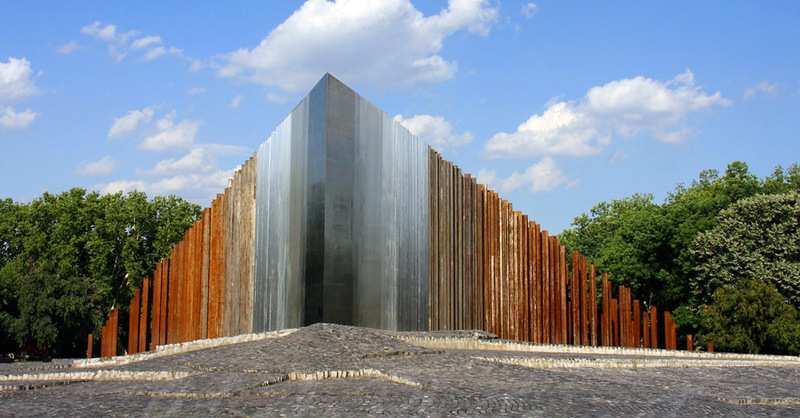 The massive, monumental memorial, the work of Attila Ferenczfy-Kovács, Kossuth prize winner architect, is a massive cube, made of cobblestones. 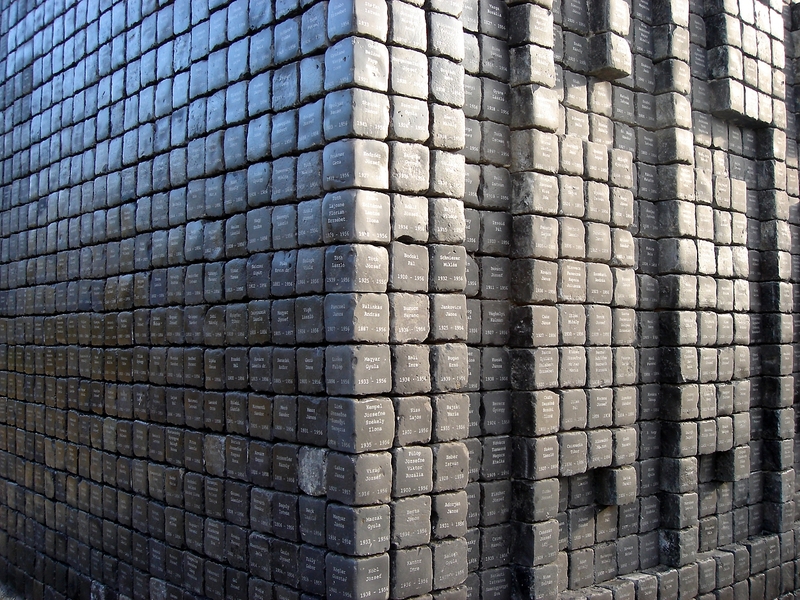 The architect picked up the cobblestones in the district and engraved a 1956 hero’s name, a total of on each visible side of the cubes. 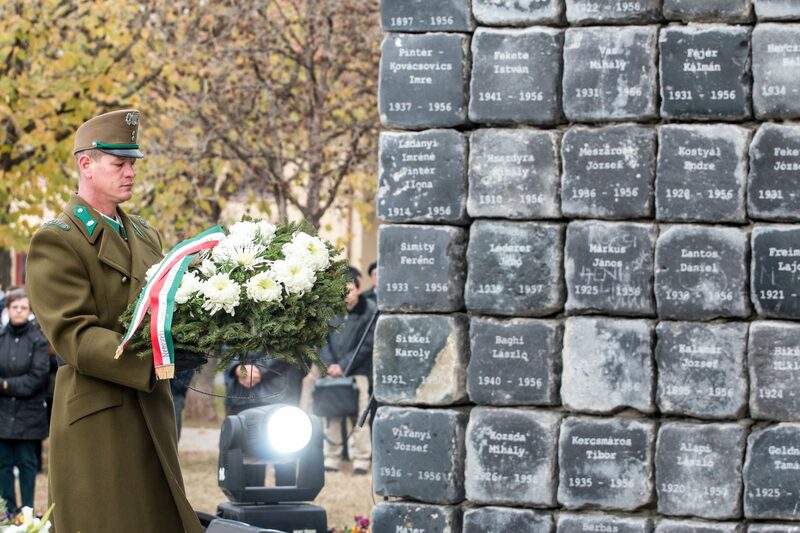 A total of 2354 heroes, including 59 from the XVIII district are commemorated on the monument. It was unveiled in 2012. Under circumstances still unknown, Hungarian army and Soviet military units opened fire on peaceful protesters gathering on Kossuth Lajos Square on 25 October 1956, which took a heavy toll in human life; the exact number of victims has still not been established. 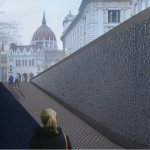 During the reconstruction of Kossuth Square in 2014, the exhibition and memorial site paying tribute to the victims of the massacre and the revolution of 1956 was opened in what once served as one of the Parliament building’s ventilation tunnels. 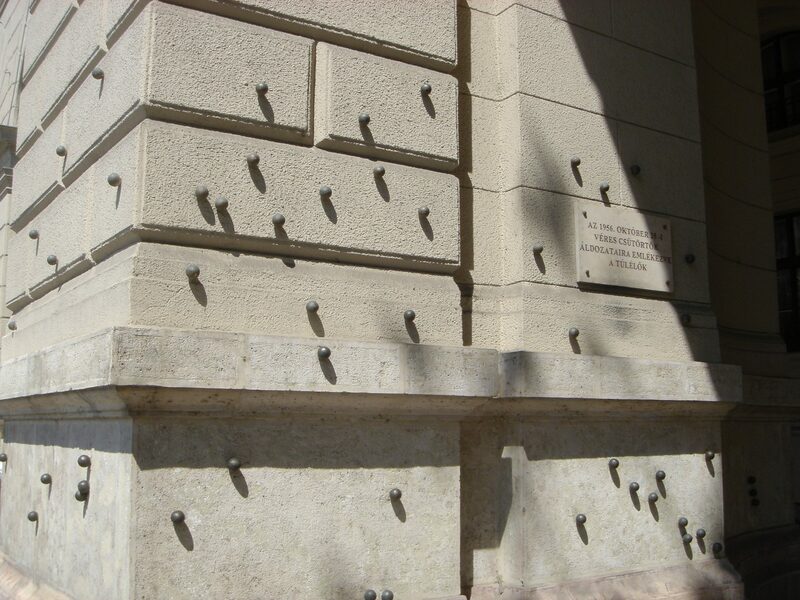 However, less people know about the monument on the side of the building of the Ministry of Agriculture. 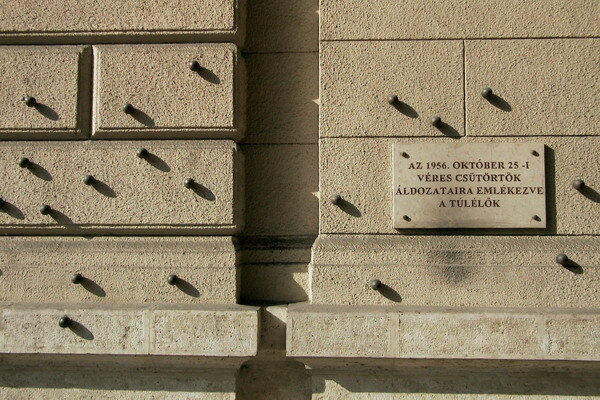 The ‘Bullet holes’ in the arcade of the Ministry of Agriculture are commemorating those who sought refuge under the arcades of the building during the massacre.